Federal's AE22 ammo features a 38 grain copper plated hollow point projectile designed to expand on impact making this a great choice for small varmints. 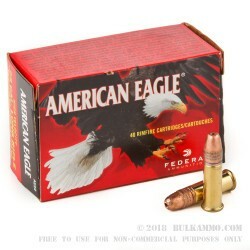 This ammo is made by industry leading Federal Ammunition at their Anoka, MN location. 22 long rifle has long been a favorite for teaching youngsters to shoot with its moderate recoil but with its cheap price point its great for all ages to get out to the range more often without breaking the bank on your favorite hobby. 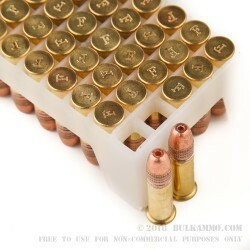 This bulk case of 4,000 rounds includes 100 boxes each containing 40 rounds of plinking fun. I purchased this brand for my S&W AR-15/22 only. It so far has fired clean and only one round was a misfire out of a few hundred. 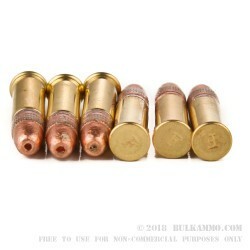 Q: Is the bullet expansion that significant with .22 hollow points? Also, does copper jacketing help or hinder for small game? Thanks. A: .22LR hollow points will expand a small amount in tissue or other mediums, sometimes approaching .30". 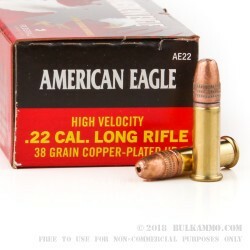 The projectile is not copper jacketed, but copper plated - this is an important distinction, because a copper jacket would be much more expensive to produce and also most likely eliminate any chance of expansion at .22LR velocities. Q: Good deal, however, I'm not sure how long it will take me to go through 4000 rounds. Any ideas on long this .22LR round can be stored? A: You might be surprised how quickly 22LR ammo goes, given how fun it is to shoot. That said, if you store this ammo properly in a cool, dry place, it will last for many years. Q: I'm not sure if I can burn through 4000 rounds in a year. How long can these rounds be stored for before losing reliability? A: Properly stored, this ammo will last for decades.